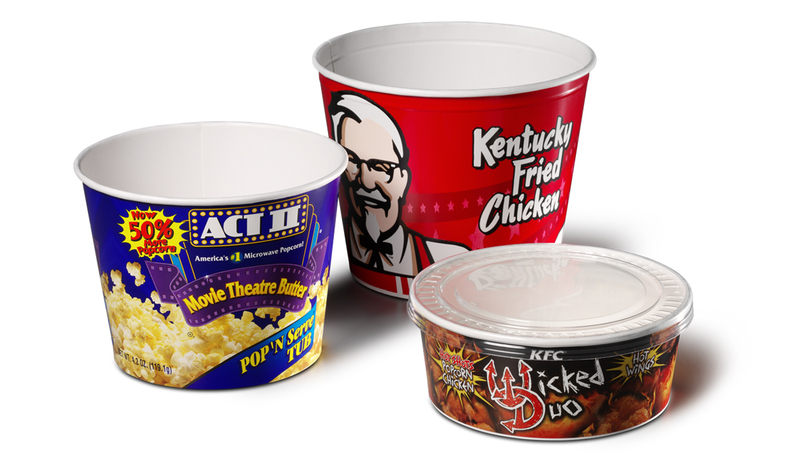 Whether used as popcorn tubs at concession stands or microwaveable popcorn tubs for consumers at home, these large, single-wrap, two-piece paperboard containers can also be found in numerous foodservice applications. Formed from pre-printed blanks, the high-quality graphics combined with a large face allows for easy product identification. Containers can be formed in sizes up to 1-gallon on the PMC 1300 machine at speeds up to 120 cpm. When is a cup a container? When you remove the rim curl and add flaps for easy closure. The Chinese Take-Out container can be used as just that, for take-out, or as a unique package for snacks and specialties. 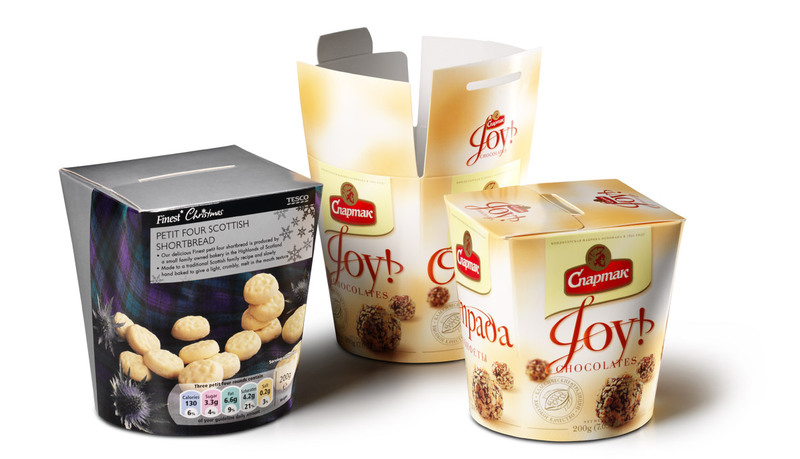 It is efficiently formed on the PMC 2500S machine at speeds up to 165 cpm and feature the high-quality graphics that can only be produced with a pre-printed paperboard blank. 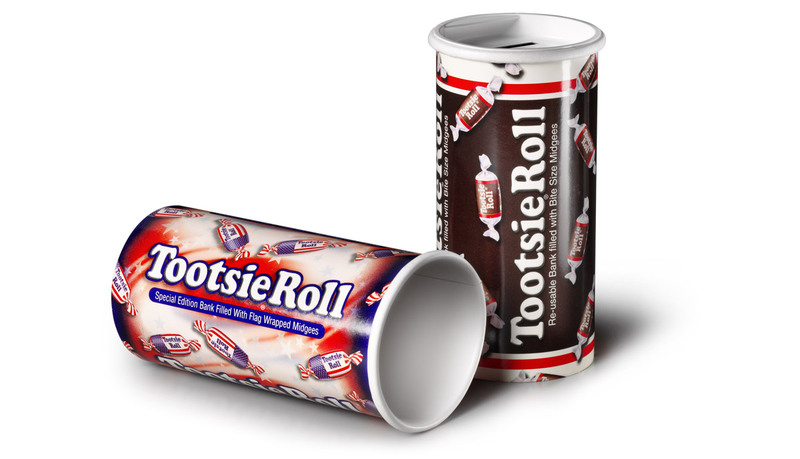 Tootsie Roll needed to update their iconic bank container. They turned to PMC for a low cost, high quality, rigid container. The package, formed from a pre-printed blank, allows increased printing quality, while reducing overall cost and required warehouse space. Containers can be formed on PMC 2500S , PMC 1300 and PMC 2000S at speeds up to 200 cpm.